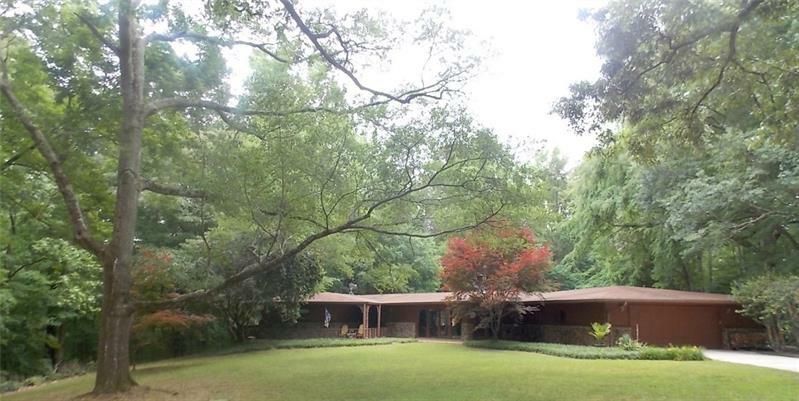 Custom home w/8 acre prvt setting w/pond & creek frtg.Home featured by Better Homes & Gardens Magazine in 1964.Gated entry,winding drive & pond w/gazebo.Home flanked by two massive 100+ yr old oaks.Open flr plan.Heated salt water pool w/spa & waterfall. Sunrm & master bdrm.Custom cabinetry w/granite tops in kit,3 sided stone fp.3BRs/3BAs on main,great rm,sunrm,formal dining & keeping rm.Master ste w/sunken shower,corner whirlpool tub,prvt sunrm w/hot tub & prvt deck.Guest rms w/prvt deck.Bsmnt w/theater rm & family rm w/fp.bdrm & bath,bonus spaces,drive under garage. A representative from Metro Brokers has received your request to visit 2819 Fork Creek Church Road on at .